Global Herbs Flax Oil provides the greatest concentration of omega oils possible from just one plant ingredient. Omega Oils support your horse's skin condition as well as ensuring joint suppleness is maintained and the bodies natural defences are kept healthy. 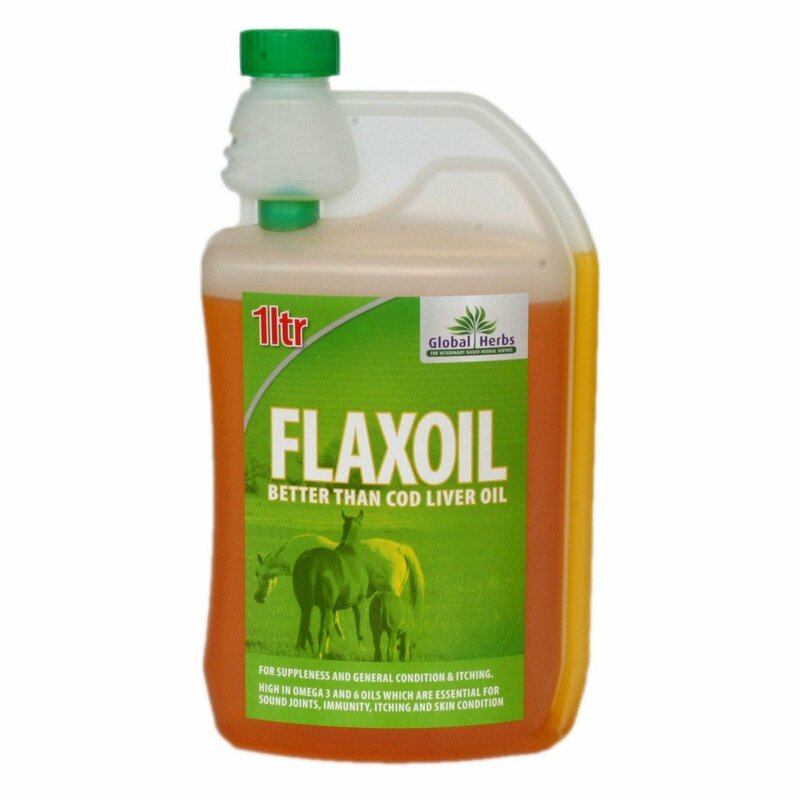 The great benefit of Flax Oil is that unlike other oil supplements it doesn't need to be fed daily to gain the full effect and can be fed just 3-4 times per week.